This was the first full week of Lent, friends. How are you doing? Are you finding it hard to make the Word of God a priority in your life? Are you seeing how easy it is to place other things above your relationship with God? Sometimes it is shockingly easy to just forget about the very One who gives us each breath we breathe. This week, in reading through Isaiah for Lent, I was struck with the fact that I often place so many people, things, and values above God Himself. It is so easy to think that my husband, my job, my title, my socioeconomic status, my outward appearance, or my friend group define who I am. But this week, as I read through chapters in Isaiah that talk of rebellious people and warring nations, it was easy to see that so often, we get it so wrong. 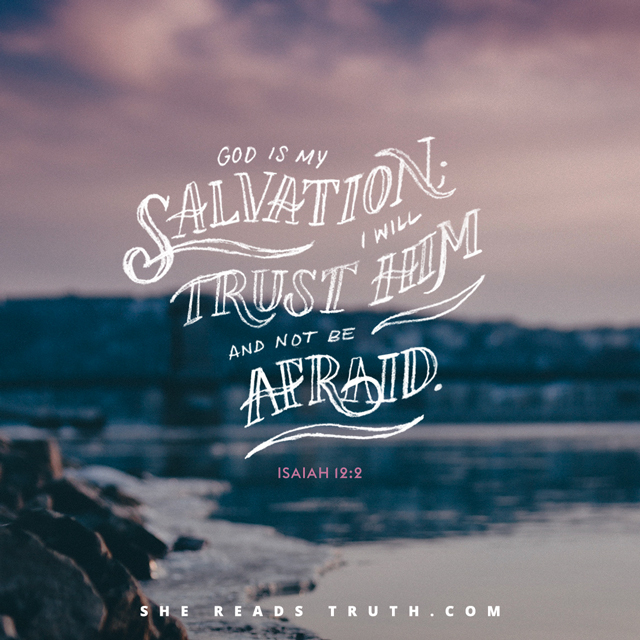 In the midst of great sorrow and wickedness and rebellion, God breaks through with a promise. He tells His children of a man who will come and change the world, not through His power and His desire to reign as the ultimate authority, but through love, peace, and grace- authority in its purest and most beautiful form. In Isaiah 13-17, there is a jarring description of God's judgement on various nations who have completely turned away from Him and are living in utter darkness. It is a strange juxtaposition after reading of the goodness that is to come, is it not? "If the future depends on whether or not I'm on my best behavior, it is bleak indeed. But the prophets foretell of Christ." Do you see it my friends? Every single part of the Bible points to our greatest need- Christ. We can do nothing without Him. We read the Bible and see all of these stories about people groups who turned away from Him and participated in horrendous acts, and we may think, "Man, these people were so jacked up!" But we're all jacked up messes without Christ. When we read of the people's rebellion and refusal to turn to the Father, we can be reminded of our rebellious ways- through pride, dishonesty, jealousy, strife, bitterness, and fear. We, too, are a rebellious people. Thanks be to God for sending His Son to rewrite the narrative and give us our only hope through His Prince of Peace. 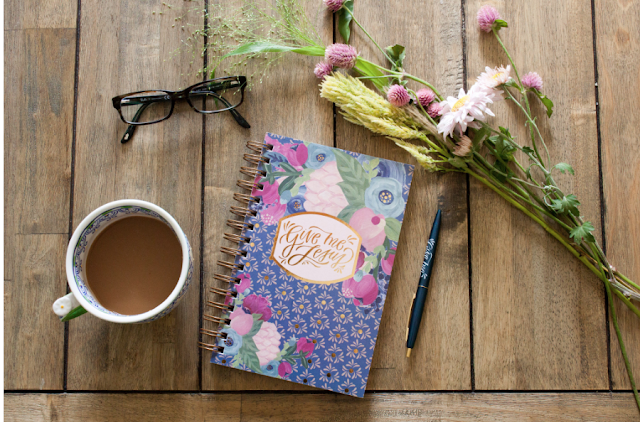 Friends, today's giveaway is a Give Me Jesus journal from Life Lived Beautifully! The Give Me Jesus journal was created by my sweet friend Gretchen to help women dig deeper into the Word of God. I have owned several and am currently using a 40-day version through Lent, and I love it! All you have to do to enter is leave a comment below. Share what God is teaching you, ask a question, or leave encouragement for others to see! Winner will be announced on Monday, so you've got all weekend. :) Have a lovely Friday, friends. This is a great reminder, Jessica. So far this Lent, I have just been reminded over and over of how sinful and weak I really am. It's good to remember that I am not the final word here- we have Jesus. Amen! Girl it is hard to be reminded of weakness so often! But then it helps me to remember that God is SO MUCH bigger and stronger. Lent is possibly my most favorite time of year, it makes me slow down and really seek Him. I can reflect on my sinful heart and really dig deep to correct these sins but knowing I cannot do it on my own but only with Him. Keep on girl, God has truly given you a gift. I've been reminded so much this Lent season of not only who Jesus is, but who he calls me to be. Read in Luke yesterday about how a tiny mustard seed grows into a tree that gives life, shelter and shade; how a little leaven makes three measures of flour light and useful. I'm discovering in these 40 days what it looks like to be a seed, to be leaven, to use this little life of mine to show people the crazy beautiful kingdom of our Jesus. I love this so much Kai. The little mustard seed that could through the power of Jesus! I just attending the IF Gathering Local and I've been learning about just doing! Saying yes to the ministry the Lord has for me right in front of me. Also trusting Him with my business and schedule!